Asiatic false hawksbeard, photographed in western Delray Beach near Lake Ida and Barwick roads. 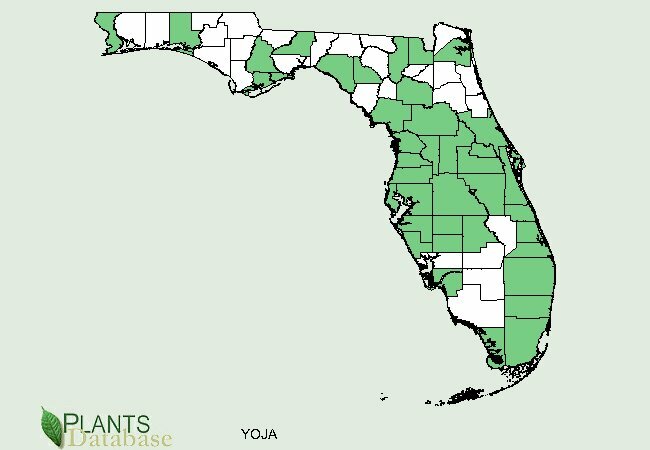 It's not hard to guess, given its name, that Asiatic false hawksbeard, Youngia japonica, is not native to Florida. Its home turf is eastern and southeastern Asia, particularly China and Japan, but has become naturalized on every continent with the exception of Antarctica. In North America, it can be found as far north as New York and Pennsylvania and as far west as Texas. Asiatic false hawkbeard inhabits most Florida counties. 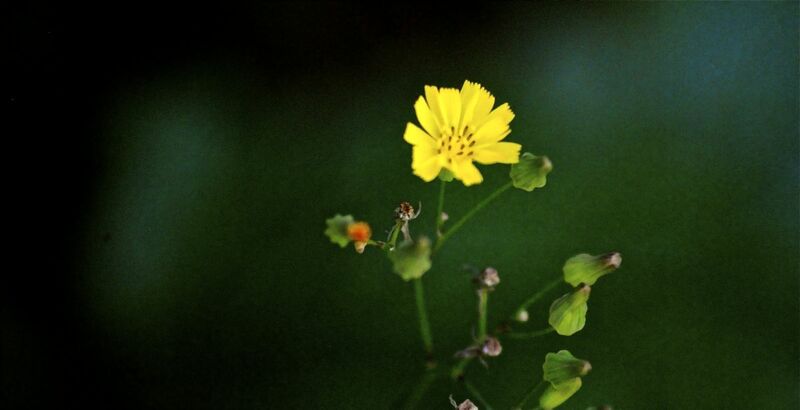 It vaguely resembles dandelions, with its bright yellow flower, lobed leaves and compact stems. Both are members of Asteraceae, the aster family. But the flower stem on a dandelion is hollow and much thicker, and holds only one flower to false hawksbeard's thin stem and multiple blooms. Dandelion's flower is much bigger, the leaves are longer and narrower and more deeply lobed. False hawksbeard has a tap root, but it's not nearly as deep as the one that makes dandelion difficult to pull from lawns. 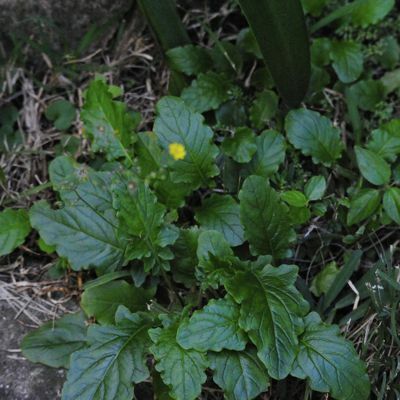 In Florida, this plant is considered more of a nuisance weed than ecological threat. It's found in lawns, gardens, nursery pots, disturbed sites such as roadsides and fields, but not so much in natural areaa. It is not listed by any government agency as an invasive or noxious weed. Some do see it as an invasive waiting to happen, however. It is somewhat cold tolerant and blooms in every month of the year even in the northern part of Florida. It tends to grow in disturbed sites, with some shade and moist soil. Asiatic false hawksbeard is edible. Young leaves can be eat raw, older leaves as a potherb. Some scientific studies have shown Asiatic false hawksbeard to have antiviral compounds, most likely phenols and tannins. Tests have shown it to have compounds that inhibit the growth of certain cancer cells, including chronic myelogenous leukemia and promyelocytic leukemia. In traditional medicine, Asiatic false hawksbeard has been used as an antidote against poison, as a diuretic, to relieve coughing and to reduce fevers. It's also been used to treat boils and snake bites. It is also said to have antibacterial and anti-inflammatory uses. Other common names include oriental false hawksbeard, false hawksbeard and rocketweed. As mentioned above, it is a member of Asteraceae, the aster family, which includes sunflowers and daisies. 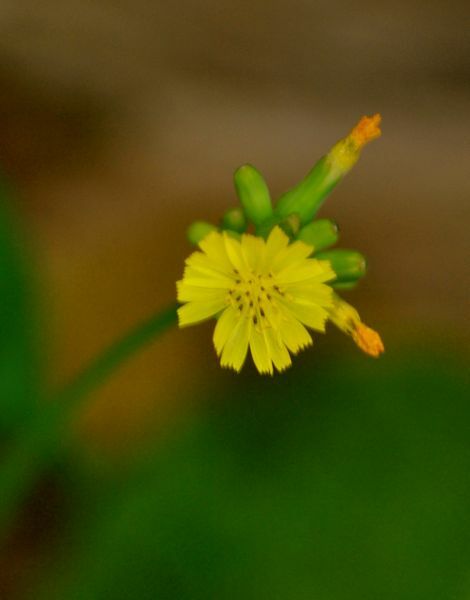 Hawksbeards, by the way, are plants in the genus, Crepis, that also resemble dandelions but have a flower stalk with multiple flower heads — just like our guy, false hawksbeard. 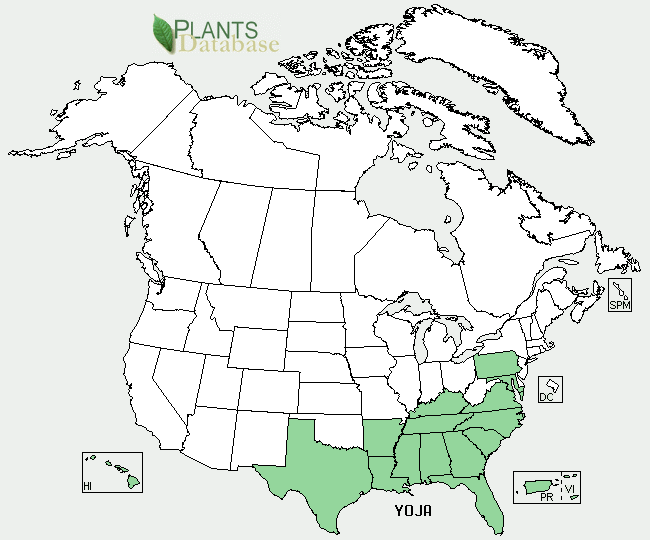 United States Department of Agriculture (USDA) distribution maps for asiatic false hawksbeard.